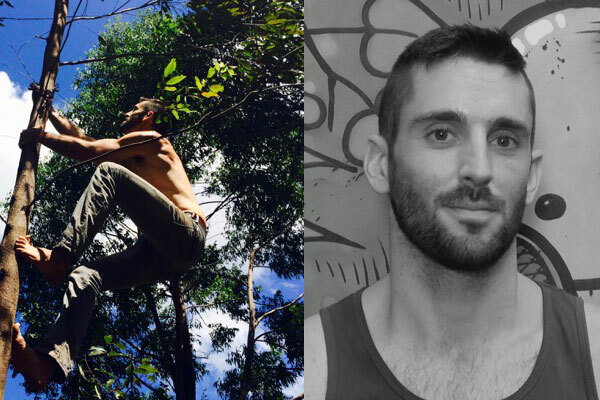 Cameron Pratto is the director and co-founder of Urban Movement – a movement school in Houston, Texas. Although always active with yoga, aquatics & other sports, he started moving in a very different way when l’art du deplacement (parkour) and MovNat came into his life. Having the privilege to study with the founders of both disciplines, he is both MovNat & A.D.A.P.T certified. Cameron is a Level 3 MovNat Trainer. When Cameron isn’t hosting or teaching a class, he’s teaching private lessons, doing stunts, and working his way in front of the camera more and more. 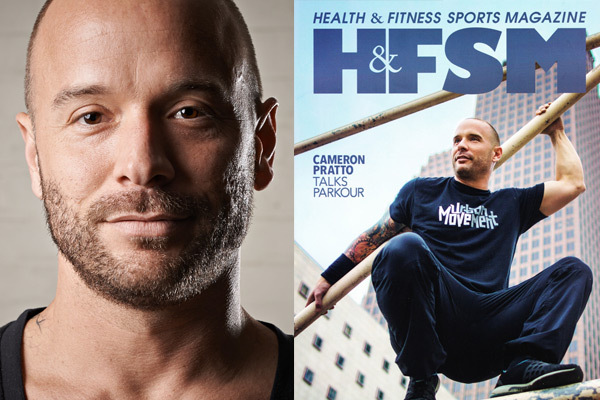 He was also recently on the cover of Health and Fitness Sports Magazine. Stefano creatively bridges the inner workings of the mind and body with our collective external landscapes in order to explore, learn, experience, and play with the world and our place in it. Having studied various martial arts and training modalities over the years he considers MovNat to be the synthesis of ultimate practicality and sound principles. He is known for his bright energy and ability to inspire mindful execution, technical skill, physical competence and limitless creativity in his clients and classes. 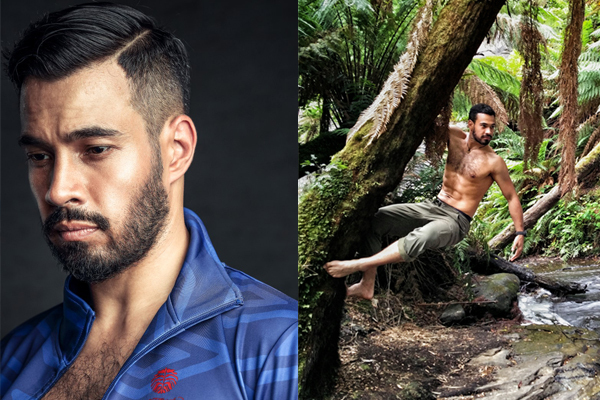 Kellen Milad is a men’s transformation coach specializing in natural movement and mindfulness. With a background in counseling psychology, Kellen views health as a composite of physical, mental, emotional well-being and stability. His long-standing passion for movement led him on a search for a more complete, “big picture” approach to incorporate into his work. Upon introduction to MovNat in 2011, Kellen immediately recognized the immense value and knew it would drive a much needed shift in the fitness world. Ever since then, he has been using MovNat to deepen his personal movement practice and coach others to a healthier existence. Kellen sees MovNat as an essential component for anyone interested in reaching their physical potential or optimizing their human experience. After a life studying martial arts (anything really from kung-fu to archery and boxing to kendo) and sustaining many injuries, Oki became intrigued by the practice and history of The Natural Method. In 2012 he traveled to the US to get certified with Erwan. Ever since, he has been a strong advocate of holistic movement and MovNat, and has been connecting holistic training to prehab and rehab by incorporating systems such as FMS and KMI. In the process of gathering this knowledge his belief in the power of natural movement, training with complexity and variation to protect from injury, has been cemented. He now trains not to be stronger, faster, or cut people in two with a sword, but instead to be adaptable, free, and to grow old gracefully; in other words: to be Simply Human. Oki Alexander is the founder of Movement Origins, an organization for coaches’ education in greater China with a focus on natural, multi-planar, complex and explorative movement, bringing in knowledge and expertise from overseas. The spin-off, MovOr cultivates the community around the “movement” by organizing camps and events accessible to people of all levels. 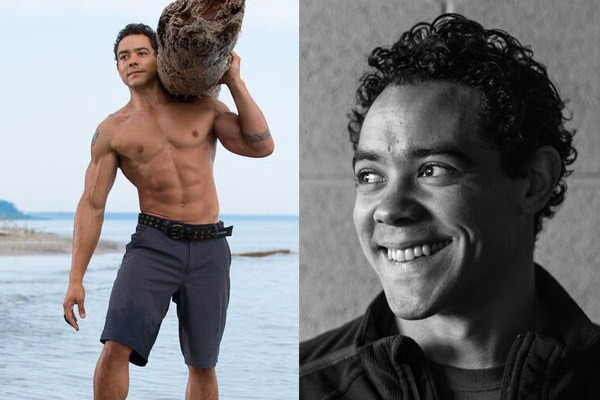 Craig Rice has been teaching MovNat in Victoria BC since he was first certified in 2012. In 2014 he became one of the first certified MovNat Master Trainers. 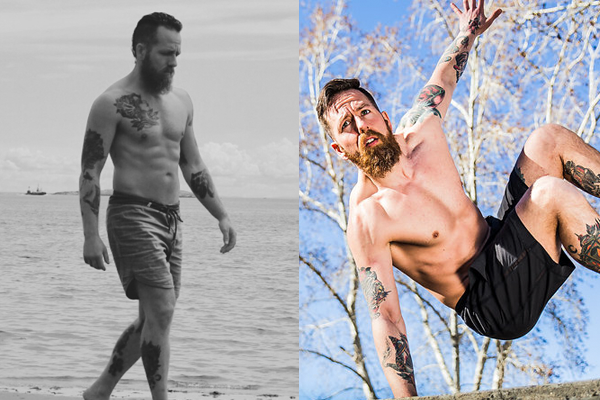 Craig draws on a large body of knowledge including a Diploma with Honors in Exercise and Wellness from Camosun College, two years of coaching CrossFit, Weight Training, Primal Movement, and the Canadian Military. Moreover, Craig is a student of life. He believes that Natural Movement is an amazing gift that Erwan has reintroduced to the modern world and is honored to help spread the word. Growing up in the French countryside, Jérôme has been deeply involved athletically from a very early age. Be it rugby, apnea, judo, or football. 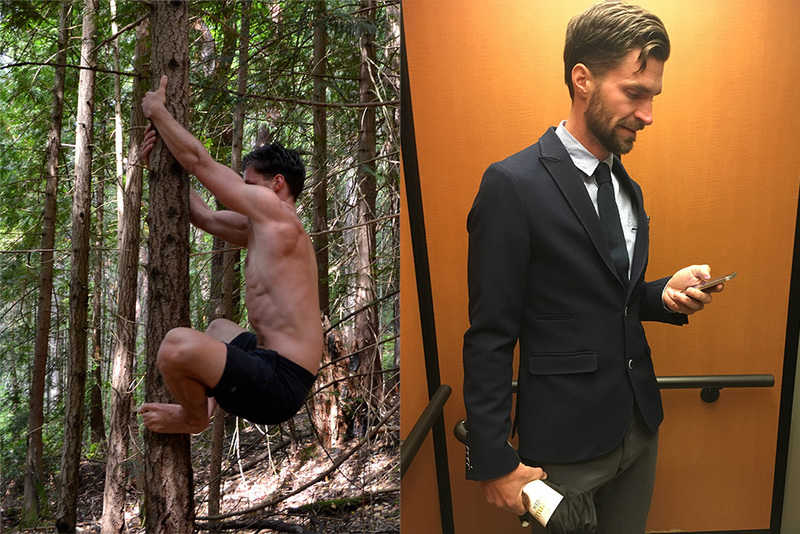 However it was only after many years of accumulating minor specialized sports injuries, and many hours sitting at a desk, that he discovered MovNat and the Natural Movement method. 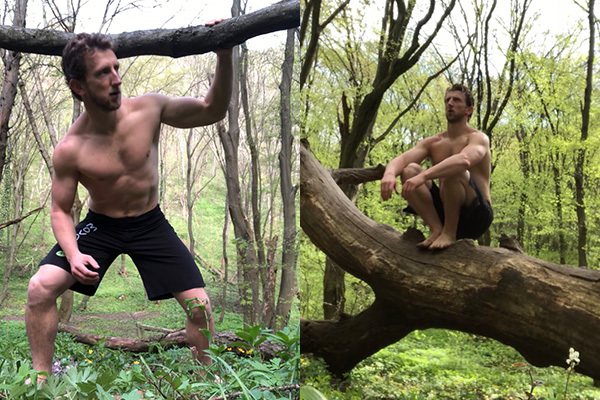 Having immersed himself in MovNat, he quickly discovered the health benefits for himself, and became professionally involved in sharing Natural Movement with others. Located in Hungary with his wife and children, Jerome has committed the last 4 years to learning and mastering MovNat method. He is now the founder of ScarAbsFit, the official MovNat Affiliate in Budapest, which is growing everyday. You can read more about Jerome’s MovNat lifestyle here. Jerome is a Level 3 MovNat Trainer. Bernd Reicheneder has always been an “all rounder”. Exploring and playing in nature were part of his rural upbringing. Sports & Fitness became an integrated part of his life from early childhood. He practiced Shotokan-Karate, starting in 1989, and continuing for over 20 years because he loved the deep philosophy and the strict techniques of Kihon, Kata and Kumite (very much like Emphasis, Combo and Course in MovNat). 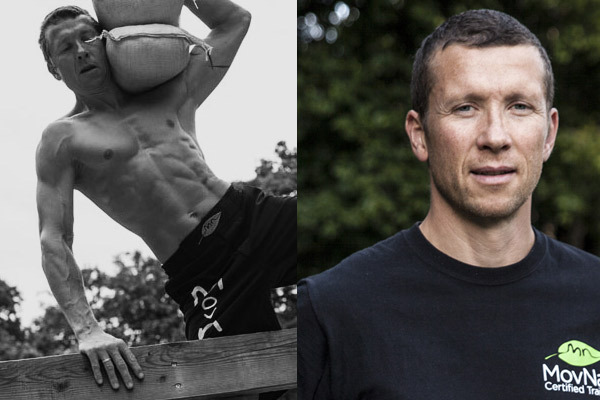 After finishing successfully with a Diploma in Sports Science and a Masters in Classical Archaeology in 2010, he worked in a conventional fitness business, with a specialization in Movement Screening. 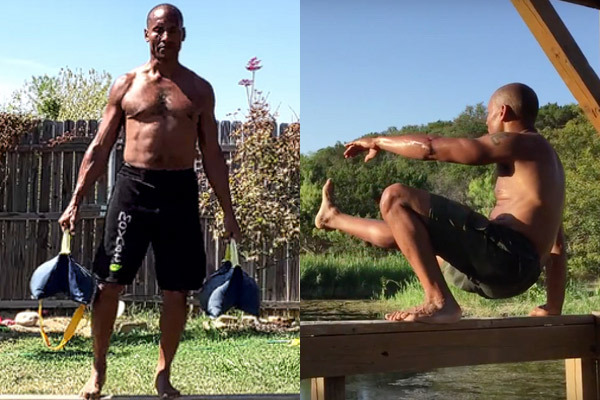 While working intensely with the Functional Movement Screen, he discovered MovNat. After meeting Vic Verdier in 2011 at a MovNat Workshop in Berlin, Bernd decided to concentrate all of his work into MovNat. It became obvious very quickly that MovNat integrated everything he searched for; something which is pure, integrated, natural, and the only system which can help anybody. Bernd is a Level 3 MovNat Trainer, MovNat Online Coach, Combatives Trainer and owner of MovNat München (i.e. Licencee of MovNat). Matt Rutley is the owner, founder and head coach of Stage 6 Health & Fitness in Nundah, Australia’s first licensed MovNat facility. He has been coaching various sports and martial arts since since 2010, both in Australia and the U.S. and became one of Australia’s first MCT’s in 2013. Growing up on a farm in the Australian bush, physical competence, efficiency and adaptability were all a part of Matt’s daily existence. His father taught him and his brothers much about bush craft, carpentry, survival, hunting, tracking, butchery and blacksmithing. He credits this early education in natural movement and adaptability to his success as a coach, as a high level rugby athlete, a fighter, a craftsman, artist and even a Protection Bullfighter. Upon discovering MovNat in 2009, Matt immediately recognized it’s value as a system to help people move as they were designed to move. His passion is now using this approach to help people to gain the same freedom and confidence that his childhood gave him. Kimberly Alexander is an enthusiastic coach and believes that a strong community depends on having positive, fit, and healthy members. Hard work and tenacity tempered with the ability to laugh and not take life so seriously are standards for all her clients. After all, movement is fun! She loves to play outdoors doing anything active. From traditional sports like soccer, trail running, and hiking to other adventures like SUP, mountaineering, and rafting, (and MovNat, obviously! ), she is always down to try something new. Since 2003, Kimberly has collected certifications in multiple training modalities. While each has been beneficial, none of them capture the spirit of movement for her the way MovNat does. Tired of being uninspired by the disempowering messages promoted in traditional fitness facilities, she opened POINT Gym and Kitchen in 2013 with her best friend and fellow MovNat Team Instructor, Melissa Sher. Their philosophy is to coach people to be strong and capable and to train for a purpose deeper than aesthetics. She uses MovNat with her clients as a comprehensive system to develop their passions and inspire them to get outdoors and interact with their environment. Melissa Sher began as a personal trainer in 2008, but was disheartened by the messaging that the fitness industry fed people – that, essentially, aesthetics are the end goal. She decided to take a break from training for awhile to become a whitewater rafting, cycling, and hiking guide and traveled to various places around the US to take groups on outdoor adventures. 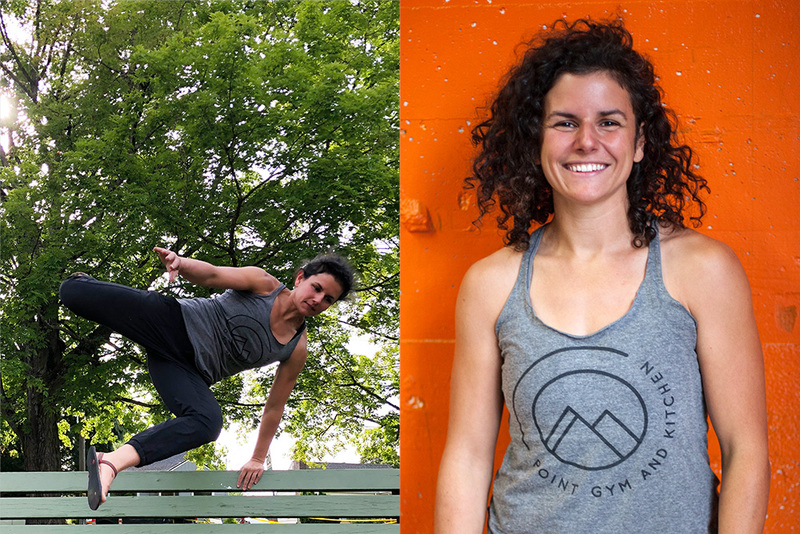 In 2013, she moved back to Portland where she and Kimberly Alexander founded POINT Gym and Kitchen with the purpose to serve the community with a gym that focused on what you can DO with your fitness rather than on arbitrary aesthetic goals. Their tagline“Train Indoors. Play Outdoors.”allows Melissa to marry her passions of outdoor adventure and movement. 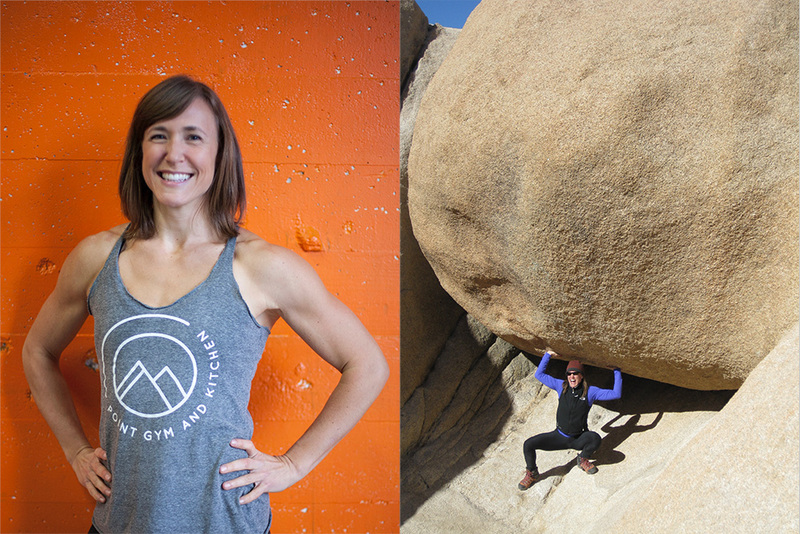 She helps people gain strength and capability indoors and then takes them outdoors to explore goals they might have previously thought unobtainable. She loves MovNat because it is accessible to everyone and aligns with her personal beliefs on how movement can enhance your experience in your everyday surroundings, in nature, and in your own body. She is excited to offer and spread the word of Natural Movement!